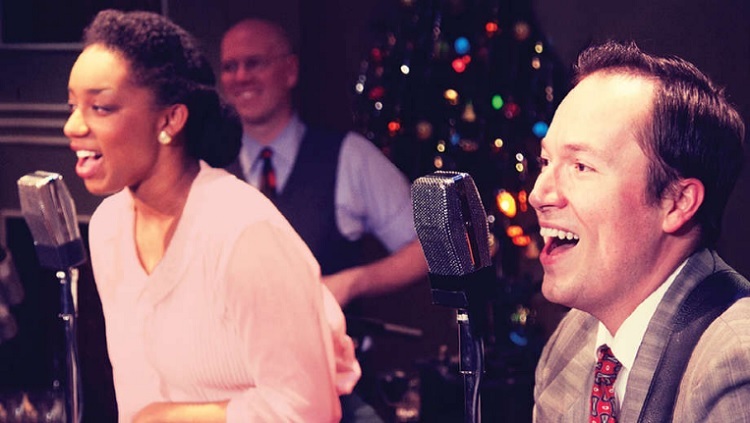 For 17 years, the American Blues Ensemble has treated Chicago audiences to a live 1940s radio broadcast of It’s a Wonderful Life: Live in Chicago. Once again, the incredible It’s a Wonderful Life cast assembles to recreate the entire town of Bedford Falls with Foley sound effects, an original score and holiday carols. It is the second longest-running holiday play returning to Chicago, and critics call this “perfect Christmas theater” and “first-class holiday fare.” After each performance at Stage 773, the cast keeps the merry mood going by serving milk and cookies to the crowd.